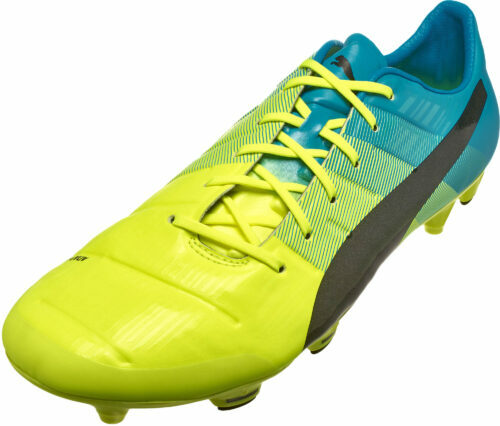 Buy your Puma evoPOWER soccer cleats from SoccerPro. The most powerful players wear the evoPOWER. Quality, speed, and of course power from the Big Cat. Nobody does power like the Puma evoPOWER soccer cleats. 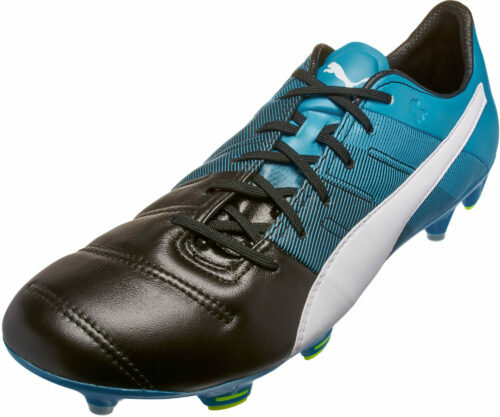 Puma Soccer’s latest showstopper in power is now available at SoccerPro. The shoe of stars like Olivier Giroud, Kun Aguero, and Francesc Fabregas is a delight to have! You can also get the Puma evoPower soccer ball to match! Get these revolutionary soccer cleats today at SoccerPro.com! It is rare to find a cleat that continues to be a hit even after being updated twice. 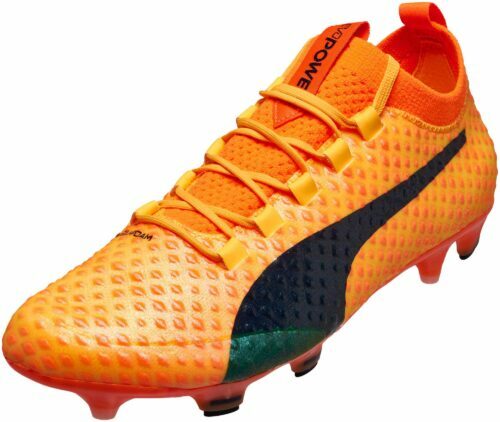 The Puma evoPower is that clea. 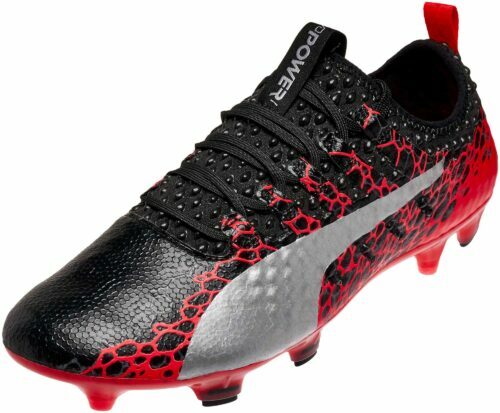 The power boot from Puma burst onto the scene with the evoPower 1 back in 2014 and was an immediate hit among professionals and amateurs alike. We were introduced to the now famous Adaplite upper and AccuFoam technology that allows players to strike the ball with pace while keeping your foot comfortable in the cleat. The 1.2 was still a hit but was not as well taken as the 1. That does not mean it is a bad boot, it actually made the 1 seem even more impressive. The 1.2 has been replaced this year by the 1.3. The 1.3 takes inspiration from the 1, 1.2, and the Mario Balotelli release, the evoAccuracy. The originals Accufoam thickness was brought back to the general release evoPower and that among other additions, have brought the evoPower back in the discussion for boot of the year. The evoPower is here to stay and we may be talking about this one for many years to come. 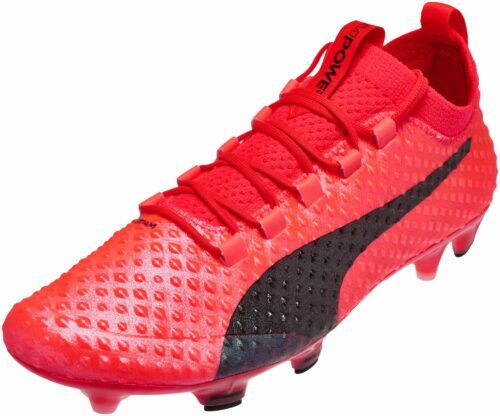 See more opinions on our soccer blog The Instep – Puma evoPower section.